The location of countries sometimes make interesting comparisons. For instance at this time of the year when most of the Europe and Americas are covered in snow, Australia is bracing itself for a heatwave. 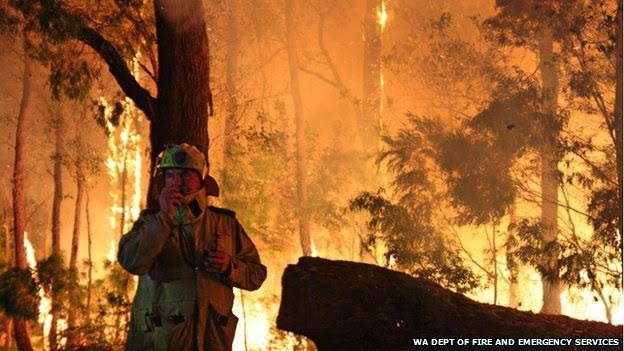 As bper met alerts, Australia is to be swept away by a heatwave while already emergency crews battling raging bush-fires in the west. As per reports, Western Australia, the Northern Territory and parts of New South Wales and Victoria will see temperatures near or above 40C (104F).